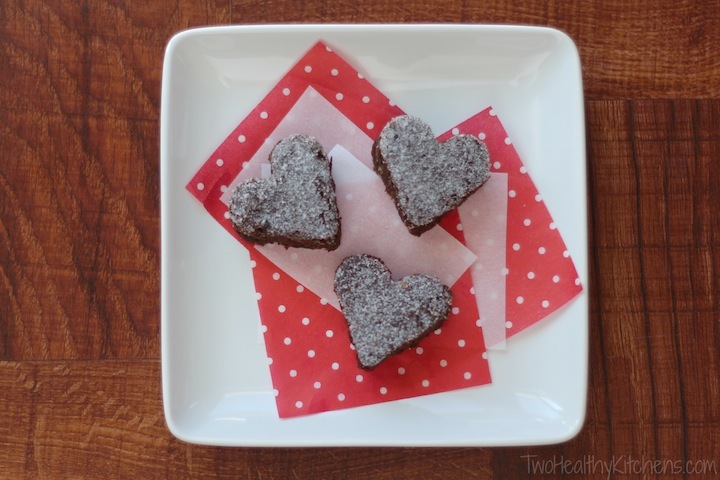 Surprisingly Decadent Brownies (Healthy, Whole Wheat & One Bowl!) 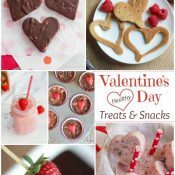 … with Valentine’s Day Ideas! Gather round, friends. It’s story time. Once upon a time, back when we were dating, my husband wanted our first Valentine’s Day to be really special. Instead of going out to dinner at a restaurant in our little college town, he wanted to cook me dinner before we went to his fraternity’s date party. A baking tip I learned from my mom … just a teaspoon or two of granulated sugar is all you need to finish these brownies! 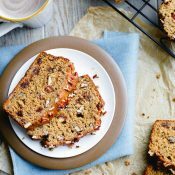 The sugar on top provides a nice crunch, as well as a touch of sweetness. Especially in healthier baked goods, sweetness is often compromised. The solution? This sprinkle of sugar on top will be the first thing you taste, and you won’t miss the extra sugar inside the brownie! I shopped for the perfect gifts, found the perfect card (I spent … oh, I don’t know … an hour reading cards! ), and got all dolled up for a fun night with my guy. When I got to his house, there was a note on the door to follow the rose petals. I walked along the (darling!) path he’d made, and finally found him in the kitchen cooking up a storm. He was all dressed up, looking so darn cute. And on the table he had flowers and gifts for me. Oh … and dinner smelled amazing! Before we ate, we exchanged gifts … cards first, of course! As I opened the card he’d gotten for me, my heart stopped. Oh no! Did I open the wrong card? While my mind was racing, he started laughing as he opened the card from me. I’ll tell you what happened. We bought each other the SAME card. The exact one. Of all the thousands and thousands of cards available for that one day, we’d picked out the identical card. Welp, that was it for me. I was going to marry this one. I already knew I loved him, but those cards solidified it. If we could pick out the same sentiments for how we felt about each other … well, I figured it was destiny. And by the next Valentine’s Day, I was knee-deep in planning my wedding! Now that we’re married and have kiddos, February 14th isn’t quite the same. Instead of shopping for the perfect gift, I’m at the craft store picking up supplies for the perfect Valentine’s Day “shoebox” for the class party. Stickers, papers, duct tape, oh my! Instead of granulated sugar, you can use powdered sugar and make “stencils” out of parchment or wax paper! 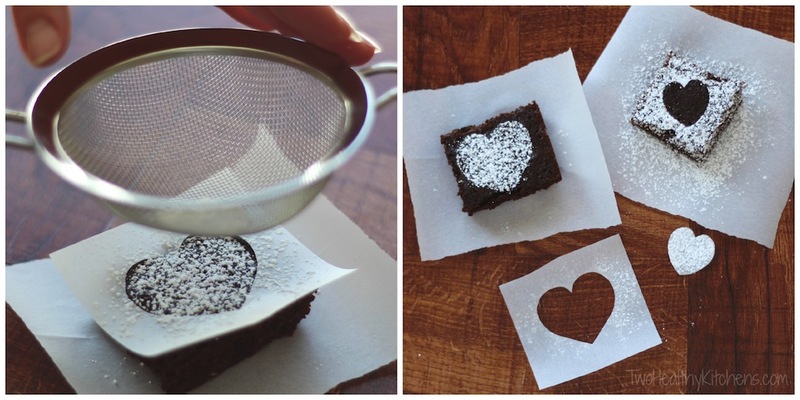 Simply use a mesh strainer and shake powdered sugar over the design. The powdered sugar won’t provide the same crunch as the granulated sugar, but still gives a nice sweet touch (and adorable design!) to these brownies. But no matter! 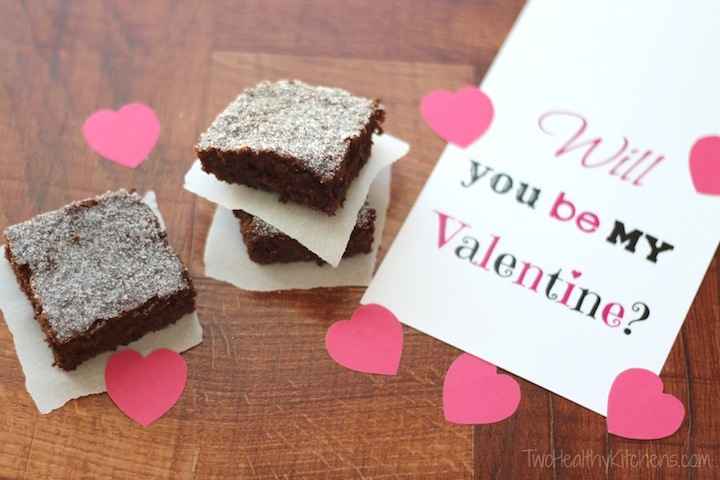 With brownies like these, any Valentine’s Day (heck any regular day!) is awesome … rose petals or duct tape! Whether you’re a kiddo hoping for the best candy at the class party, a teenager hoping for a smile from the cute guy in your math class, or a wife hoping for a little blue box with a big white bow (ahem … hint hint, honey) … these brownies are just the thing. Deliciously fudge-y, perfectly chocolaty, wonderfully healthy, and a breeze to make … what better way is there to tell someone you love them? Want to know how I know these are so easy to make? It’s because I made at least 10 test batches. Some were promising, others … notsomuch. But this version. Oh … this version … our taste tester panel families seriously loved ’em! My oldest didn’t believe they were healthy. So good. Shelley texted me in desperation when her supply ran out because she wanted more, and the rest were at my house. Yes, friends. These brownies are that good. And then, she texted to ask if I thought it’d be ok for her to make these once or twice a day. Told ya. They are just. that. good. 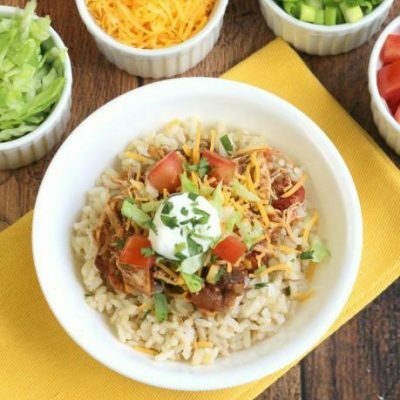 Oh … one more thing … this is all done in one bowl! Super fast. Super easy. Super clean. Seriously! 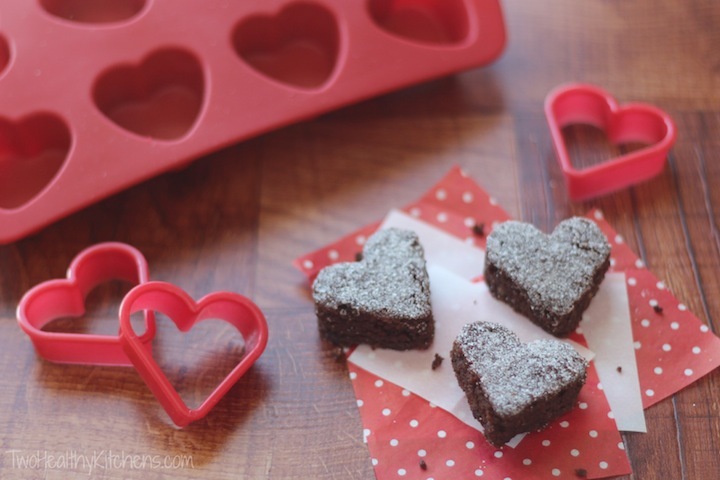 No doubt, these brownies say love any day of the year. Rose petals or no. Really … you need to enjoy these little beauties year-round. Every single day, in fact, would be best. 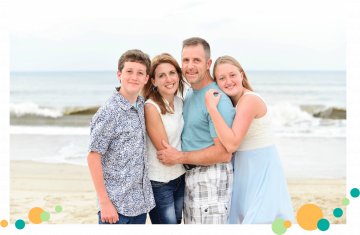 This past summer, Shelley and her husband joined my hubby and me for an evening out. We had a fantastic dinner with everything served shish-kabob style … even dessert! 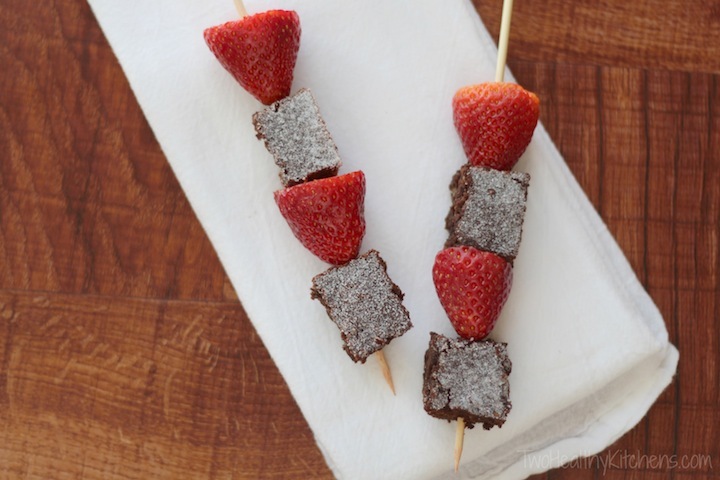 As soon as we saw the brownies and strawberries threaded on skewers, we just knew we had to share this amazing idea with you! What’s better than chocolate and strawberries? So … bake these brownies, and tell someone you love them! Any day … every day! In a large bowl, combine brown sugar, flour, cocoa powder, baking powder and salt. Stir well with a whisk until ingredients are evenly combined and brown sugar is broken up. Add eggs, applesauce, oil and vanilla, stirring just to combine and being careful not to overmix. Pour batter into ungreased 8x8 pan. 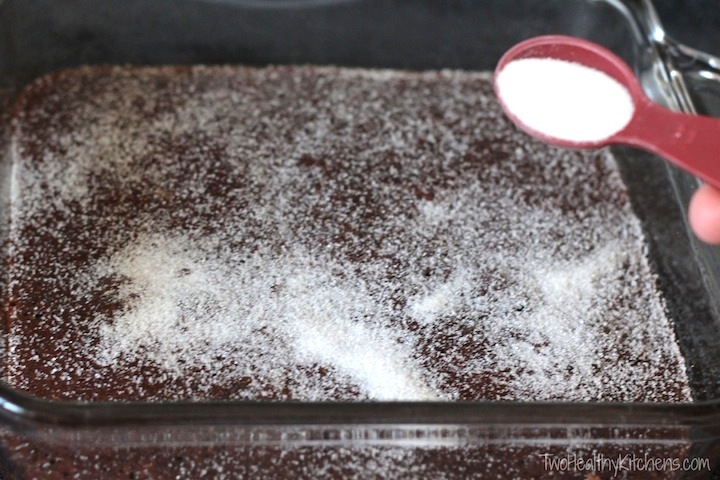 Remove pan to a cooling rack and immediately sprinkle brownies with granulated sugar. These made a great birthday dessert tonight — which we paired with the Shamrock Shakes 🙂 Super yummy! 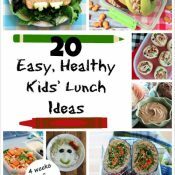 Thanks for all of the great healthy ideas! These brownies look delicious AND they’re healthy! Wow! I love what you did by putting them on skewers with strawberries! These look great, thanks for sharing! Sounds great! I’ll definitely try them out! Wow!! THese look so delicious!! I love them on the fruit sticks! so cute and perfect for Valentine’s Day! YUM! 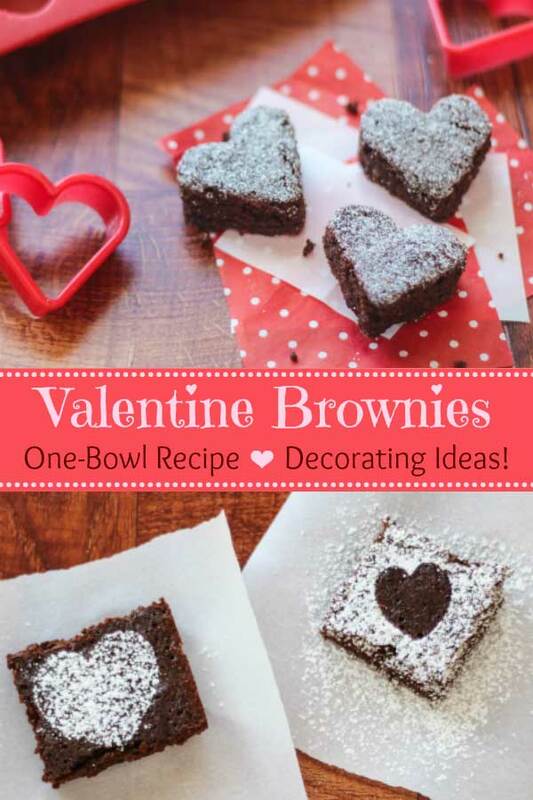 These sound amazing, gotta love brownies you can make in one bowl! 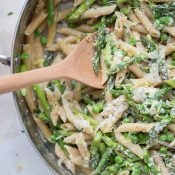 Great tips about putting the sugar on top (and I even love the explanation of flour protein in the comments, ha). Great Valentines Day story. I had to laugh when I saw you brownie recipe. After looking it over I thought that’s what I would have done. Perhaps a minor variation with flavoring or something like that, but it’s right on. 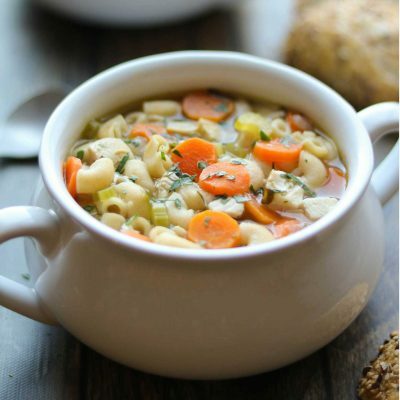 Great recipe for healthy eating. I was finally able to make it this weekend! 😀 It’s really easy and quick to make (Apart from that part in which I have to make my own applesauce first.) And gone just as fast&easily! It didn’t even survive long enough for me to put frosting on it! Definitely keeping this recipe 😉 Thank you! You know, I made brownies with whole wheat flour the other day and they were better than with white! Who would’ve thought?! They were chewier but not in a bad way and softer! These look so yummy!! Hope you enjoyed Valentine’s Day! Aw, that is such a gorgeous little story! Im such a sucker for a good love story! Im also crazy for anything chocolate brownie, so thanks for the recipe too, it sounds divine! 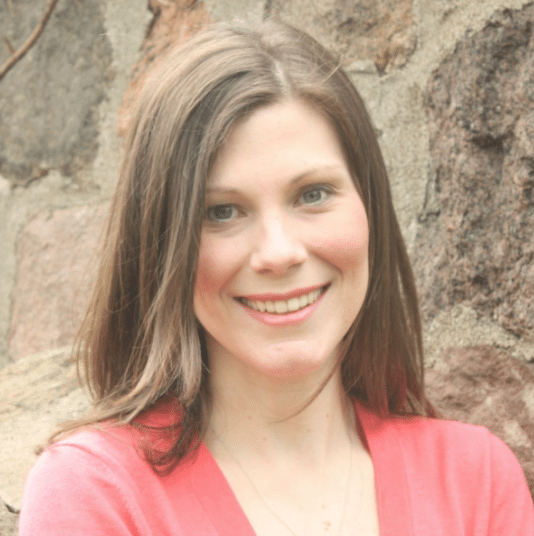 Thank you, Dearna! I’m also a sucker for a great love story – and I’m super happy this one is mine! 🙂 So lucky I found my perfect guy! 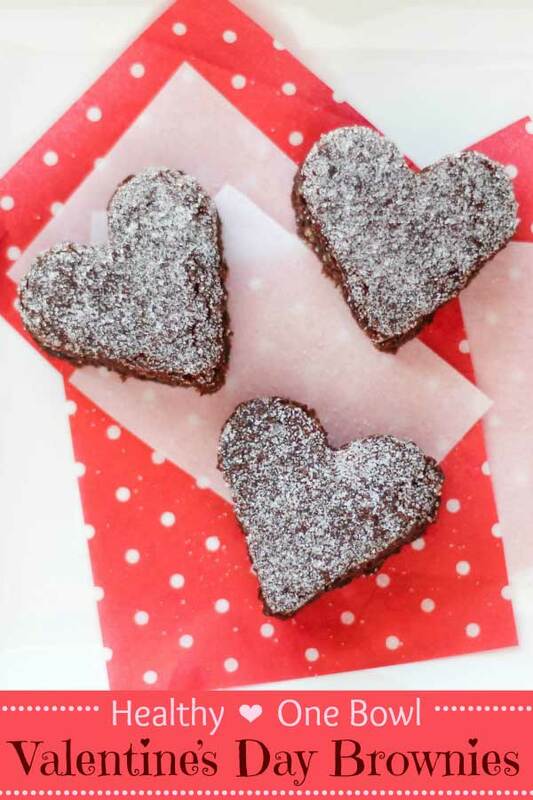 What also looks perfect are the beautiful heart shaped brownies! Yum! I love the sprinkle sugar on top. I too find a little sugar on top and you don’t miss the lack of it inside. 😀 Pinning!! See Cindy … you know what I mean! 🙂 You’ve found your soul mate, too! It was so funny when it happened – I can’t imagine it happening more than once!!! Hey Gretchen! Sweet story, sweet recipe! 🙂 So, I’m going to continue the flour question by asking what you think about using white whole wheat flour?! All the same benefits as whole wheat? Thx! Hi, Kristen! That’s a great question. White whole wheat flour is becoming much more widely available to consumers in typical supermarkets, so you’re undoubtedly not the only one wondering this! Buckle your seatbelt, though … this is gonna take a little explaining! Without getting super food-geeky on you, let me try to give you a quick overview (the nuances of wheat in baking can be a pretty lengthy discussion!). Any-who … the reason we didn’t use white whole wheat flour in this recipe is because white whole wheat flour (at around 13-16% protein depending on brand) has roughly the same protein content as regular whole wheat flour, which can yield tougher baked goods due to the increased gluten – not what we were going for in this recipe. A big reason why we normally mix regular whole wheat flour with all-purpose flour in some of our recipes (such as some of our muffins) is because, with their higher protein levels, whole wheat flours can make baked goods tough. 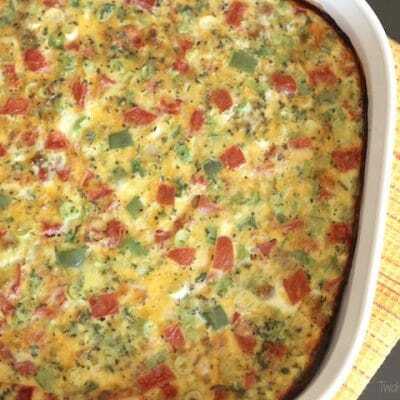 A mix of all-purpose flour (usually around 11-13% protein) and whole wheat flour (usually around 13.5-14%) gets that protein level down to about the same level as that found in the Bob’s Red Mill whole wheat pastry flour we used for this recipe (12% max protein). One caveat … protein levels can vary between brands, and even within the same brand (you know … just to add to the confusion!). Bob’s Red Mill has a handy list of the protein levels in their flours. Yeah … that’s more than you wanted to know, right?!?!? Aww, such a sweet story that proves your true love! Chocolate and strawberries are fantastic together, and that last picture of the strawberry and brownie skewers looks irresistible! That is just the sweetest Valentine’s Day story ever Gretchen! To spend an hour pouring over cards and picking out the same one… It definitely sounds like you found your Mr. Perfect! 🙂 And I have such fond memories of making my own Valentine’s Day “mailboxes” from retired shoeboxes. I actually still have one or two at my parent’s house — red wrapping paper, glitter glue & pink heart stickers! Your kids are lucky to have you as a mom!! Happy Valentine’s Day to you both, Gretchen & Shelley! Aww thank you, Amy! You are so sweet!! It’s so true! I spend at least 20 minutes on a simple birthday card, and those occasions where love is in the air… Goodness me. 😉 Good to know about the duct tape, especially now that they sell so many fun colors and patterns! Oh my gosh. I am not sure what I love more? That adorable husband/wife Valentines Day story? The fact these are made in one bowl? Or the fact that they are healthy? Augh!!! This is hard. I just love it all!!! Pinning! What a story! You two are meant to be. Thanks for your kind words about George. I’m managing but it will take a while for the tears to stop. Hope you have another romantic Valentine’s Day and that he still does the cooking! and as for these brownies, I have just one question. If I eat them all, are they still healthy? The brownies look great and love the tip of sprinkling sugar on top, but that story? It is absolutely DARLING! What a great one to tell your future grandkids one day! So sweet, Gretchen! Cute cute. I love the story. I love a good romance story. 🙂 The brownies look great too! I also love a good brownie. Hmmm, just like you and your hubs were meant to be, so are these brownies and me! hee hee. Happy Valentine’s Day! I don’t have pastry flour on hand. If I use regular flour, the brownies will be heavier, right? Should I try it, or do you strongly recommend I get the pastry flour? Thanks! Hi Sue! That’s a great question – one that Shelley and I have been discussing in great detail! We’ve found whole wheat pastry flour at several of our local supermarkets – it is available, you just may need to keep an eye out for it! Our go-to replacement is to use half all-purpose flour and half whole wheat flour (because the gluten content is essentially the same in this mix as in whole wheat pastry flour) – such as in our muffin recipes. 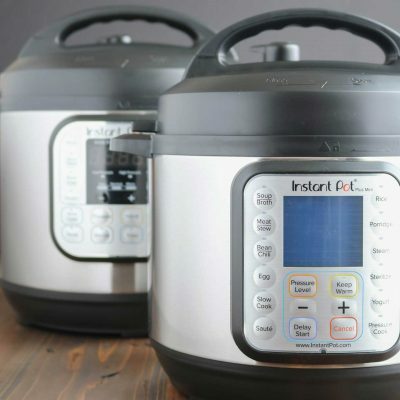 In most other recipes we’ve tried, this works perfectly and we couldn’t tell a difference between the different batches. And it does work in these brownies … but the texture is a bit different (it isn’t a problem of them being more dense). Additionally, the bake time was actually shorter when we used the all-purpose/whole wheat blend. Most whole wheat flours tend to be more coarse. Due to the delicate nature of the brownies, we found that occasionally you could detect that coarseness of the flour in the brownie. Thanks Consuelo! I think he’s pretty great, too! What a ‘sweet’ story! Pun intended 😉 It was obviously fate. Have a wonderful Valentines Day!